Various national and local experts and practitioners discuss topics around the integration of faith and work through large forums in the city. 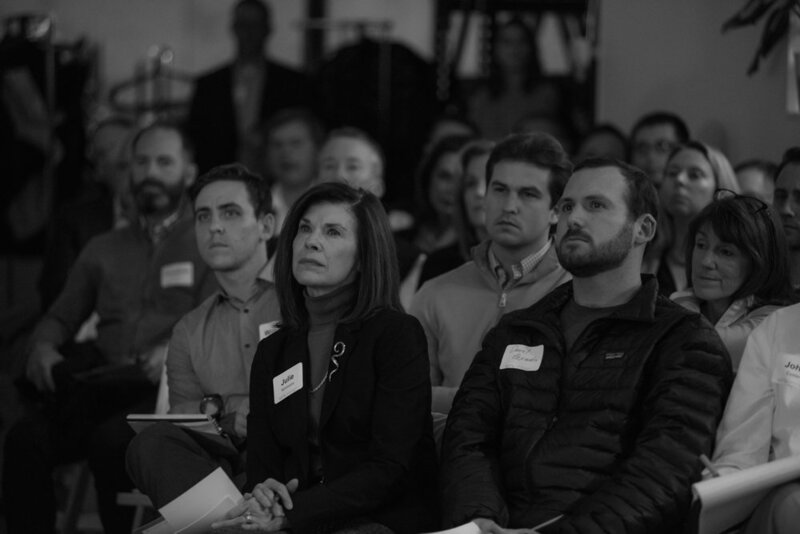 Featuring BridgeWorks Consultant Phil Gwoke, Lyft Nashville Marketing Director Joel Rakes, and Adams & Resse Managing Partner Gif Thornton. Featuring former New City Commons Executive Director and Thriving Cities CEO Greg Thompson, along with a panel of Nashville innovators. Featuring Former Center for Faith and Work Executive Director Katherine Alsdorf, Pastor and Author Scott Sauls, Sony/ATV President Troy Tomlinson, and Lee Company Chairman Bill Lee.